With Linus Pauling’s birthday being 28 February (born 1901) perhaps it is fitting that we should reflect on at least one of his contributions to science at this time and ask what on earth he did to attract such disparagement from the medical fraternity in general. I mean, the man was considered to be one of the greatest scientists of all time and if he were not unfairly denied permission to travel out of the USA in the early 50s he may well have won the Nobel Prize together with Watson and Crick for the discovery of DNA in England. He made up for this later by being the only person ever to win two unshared Nobel Prizes, and he was nominated for four in all. A doctor told me that Linus Pauling had not studied to be a medical doctor and this attracted ill-feeling from ‘real’ doctors because he was going around suggesting treatment for conditions such as cancer, the common cold and heart disease. What effrontery – dabbling in medicine without a doctor’s degree! Pauling had however discovered some deep secrets about the structure of proteins and with collagen being the most ubiquitous protein in the human body, holding everything together, and when I say everything I mean everything – bones, teeth, cartilage, skin, muscle, tendons, ligaments, blood vessels you name it, it was not long before he discovered the link between collagen and vitamin C: in order for the body to make collagen in the first place and then to maintain strong collagen, a goodly supply of the amino acids involved in making the protein, vitamin C and magnesium is required. The link between collagen health and vitamin C has long been observed: over two million mariners under sail in the eighteenth century died of scurvy for the lack of fresh fruit and vegetables in their shipboard diets. The degradation of collagen in the gums caused teeth to loosen, the skin became blackened from the blood that leaked out of broken blood vessels and even the bones of limbs would come adrift at the point where they had broken and healed years before. Death could be imminent but soon after resuming a diet rich in vitamin C health could be totally restored in a matter of days. Pauling observed that the arteries of non-primate mammals like cats and dogs never got blocked with plaques whereas primate mammals (including humans) could die from the condition. It was known that humans and the other primates, cannot make their own vitamin C unlike the other non-primate mammals, and so Pauling began to investigate the association between the inability to make vitamin C and cardiovascular disease. The reason why he looked into this was that vitamin C is vital to the health and integrity of the collagen meshwork that supports and connects the thin layer of flat cells which line the inside of all blood vessels. This layer of cells, particularly in the arteries, takes quite a beating literally from the pulsating volumes of blood passing though at high pressure at least seventy times a minute day and night year in and year out. Cardiovascular disease begins when little tears like ladders in a woman’s pantyhose form and these tiny lesions attract a certain species of cholesterol (fat carriers in the blood) to gather and stick in an attempt to shore up the damage like a hastily applied Band Aid. 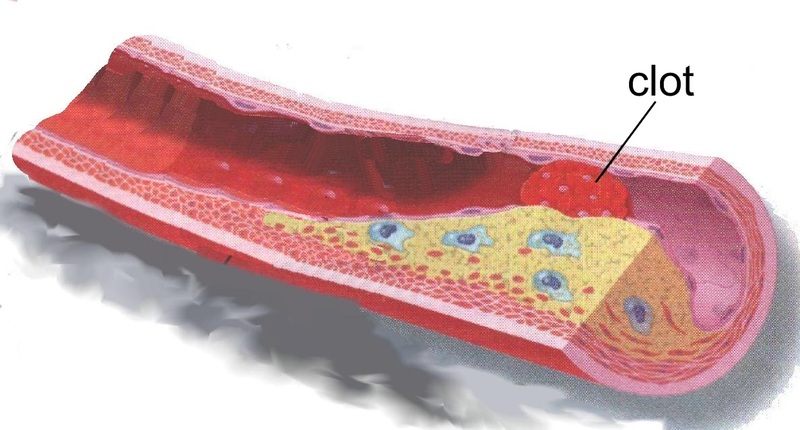 This forms a fatty streak along the broken artery wall and if the artery is not repaired from the inside a cascade of events occurs to turn the Band Aid from a soft fatty mass into quite a blockage with muscle cells growing into it and calcium making it rock hard eventually. If the surface of this blockage ruptures for any reason say from the ravages of constant high blood pressure, a clot will form and completely block the artery and the owner of the plaque will suffer a heart attack or stroke. How can the artery be repaired from the inside or rather not develop lesions in the first place? By providing all the ingredients to fix the collagen meshwork that got broken in the first place. Vitamin C is vital for this (remember how blood vessels rupture completely in scurvy sufferers). Could it be, Pauling asked himself, that humans are getting sub-optimal amounts of vitamin C in their diets and although they did not have full-blown scurvy, they were getting breakdown in the collagen lining of hard working artery walls? This hypothesis was strengthened when simple comparisons were done between animals that make their own vitamin C (and don’t get heart attacks) and humans who have to rely on the so-called RDA (Recommended Daily Allowance which could turn out to be a Ridiculous Dietary Arbitrary). Wild animals and domestic livestock and even rats were examined for their vitamin C output and were found to produce about 180mg per kg of body mass and up to 13 times more than this when stressed. With this knowledge zookeepers around the world supplement the diets of their primates with commensurate amounts of vitamin C yet humans are told to take 90mg per 80 kg per day. Madness. An animal such as a goat makes about 180mg per kilogram of body mass so a 80kg man should get about 14 grams a day yet he is told that all he needs is 90 milligrams. An aspect of this that I find quite fascinating is that if a person has such low vitamin C levels that they develop damaged and inflamed arteries they will also have poor blood anti-oxidant status which will cause certain cholesterol fat carriers to become oxidized or rancid and useless to the body and yet these are the very cholesterols that are used to make the Band Aid. Plaques are accumulations of damaged, otherwise useless cholesterol aptly described as firemen gathering at the site of a fire to render assistance and they should not be blamed for causing the fire. If there were enough vitamin C around, the arteries would not be damaged and there would be no oxidized cholesterol and no plaques. The suggested significance of all of this is that during European summers there are adequate supplies of fruits and vegetables for man to get enough vitamin C for the maintenance of healthy blood vessels. During winter when vitamin C –rich foods are scarce, the ensuing damage to artery walls is fixed by temporary plaque formation but these disappear when summer comes around again and the plaques are dismantled with the return of antioxidant rich foods to eat. Doctors and therapists who have taken note of Pauling’s insights have had success in reversing cardiovascular disease (CVD) with a regime of antioxidants including up to 15g of vitamin C a day. It takes time but it works. Of interest to some South Africans is the significance of a certain species of cholesterol called Lipoprotein (a) or Lp(a). The presence of large amounts of Lp(a) is supposed to be a warning bell for CVD because this cholesterol fraction has a particular affinity for sticking to the damaged collagen in an artery wall. The disrupted collagen exposes a certain amino acid called lysine to which the Lp(a) binds. Pauling suggested that the healing process of CVD should include supplementation with lysine which will attach to the lysine binding sites on the Lp(a) thereby preventing it from sticking to the artery wall. Of course if the arteries are not at all damaged then the Lp(a) no longer becomes a risk factor for CVD, it just means you can survive a poor diet during a European winter better than most. Hydrolysed collagen is rich in lysine as well as all the other amino acids used by the body to make collagen. All that remains is to make sure we get enough vitamin C and magnesium every day. You can find my Pure Hydrolysed Collagen in my online store, together with vitamin C and my brand of Magnesium Citrate. Together these 3 will offer you superb protection while keeping you young on the inside and the outside. Happy birthday Linus Pauling!